Ever since Cangiano's in Clarks Summit closed down a couple years back, there has been a hoagie void that could never be filled by anyone else. You see, Cangiano's made fantastic subs and my favorite hoagie, appropriately named the "Cangiano" (essentially an Italian sub) would bridge the gap between pizzas for me. 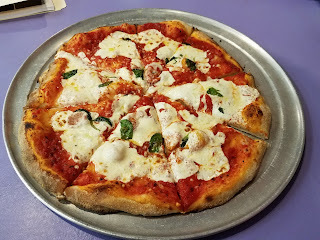 In the last couple of weeks, I heard rumors that Cangiano's might be coming do nearby Dickson City and that they would be serving wood-fired pizza so I drove up to the former Amberdonia Bakery location in the Fashion Mall across from the Viewmont Mall on Route 6. I entered the store expecting to find the same mid-evil knight meets traditional italian deli that Amberdonia left behind, but was surprised to see that Cangianio's had taken the decor and made it their own by adding splashes of color and nostalgia everywhere. I noticed that the display case was stocked with a ton of pastries, cookies, cupcakes and everything sweet you can imagine. Of course, I was here to try the wood-fired pizza and I was pumped to see the oven was blazing hot and ready to roll. I was greeted by the owner who was an exceptionally nice guy who was very generous with his time and shared his story about how this new location came about. I forgot to ask permission to publish the story so I consider that off the record and you will have to ask him for the details! Anyway, I placed my order for a wood-fired margherita and just like any wood-fired pizza, it was ready in about 2 minutes. I marveled in the pizza's beauty when it was brought to my table with it's vibrant red sauce, bright white fresh mozzarella cheese, and just perfectly charred crust. It steamed mightily on the table almost challenging me to take my first bite. As you know, I'm up to any pizza challenge so I reached out and grabbed a slice. 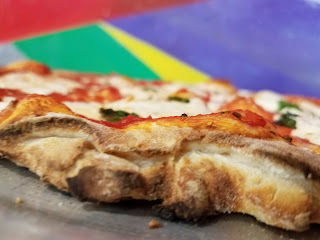 I immediately noticed that Cangiano's was not copying Amberdonia's recipe and I was happy to see that because I like something new and unique and that is just what this pizza delivered. 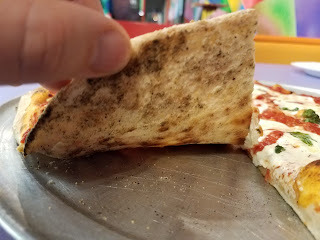 The crust was slightly thicker than many of the razor-thin neopolitan pizzas that I have tried. The dough was also a bit more dense, giving it a bit more substance to hold it's own against the sauce. 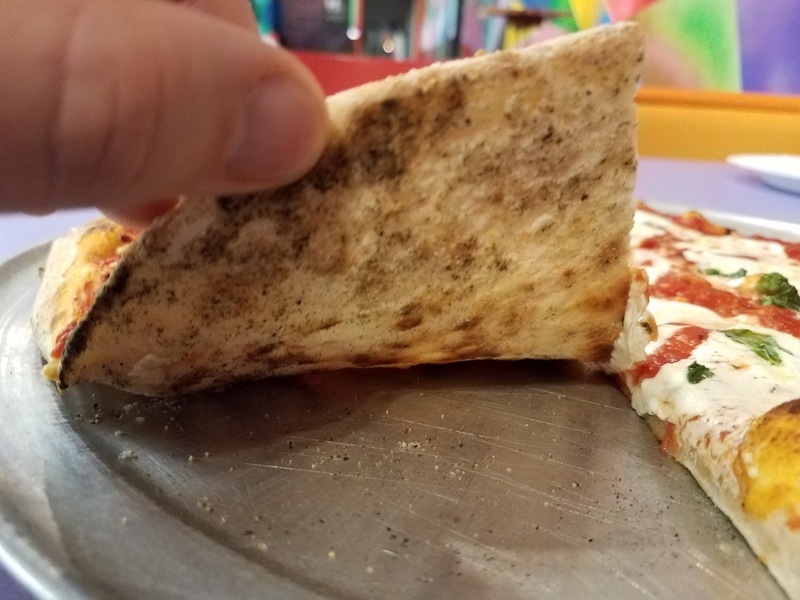 Many times with a neopolitan pizza, they are so thin that the tray or box that it is served on is soaking wet by the time you are done because the dough can't absorb enough moisture. For this reason, you (unscientifically) only have a peak eating time of about 10 minutes before it's a soggy and flat mess. This pizza clearly was designed differently as it was thick enough to be able to withstand the moisture from the chunky tomato sauce without being to thick to sap away the flavor of the sweet and savory sauce. I will add that the crust was super tender and had some wonderful variation in the bubble pattern. The natural sweetness of the tomatoes really punched through the dough and cheese making a wonderful contrast of flavors that really worked. I appreciated the fairly generous amount of fresh mozzarella cheese on top. I'm not sure why many neopolitian pies go so light on the cheese. I'm not asking for the whole surface to be covered because that defeats the point of the pizza, but a couple tiny crumbs of cheese doesn't get the job done for me! Overall, I really enjoyed the pizza and was amazed that the pizza guy was so proficient with the wood-fired ovens on such short notice. I have scant experience in actually working with these ovens, but I understand they are far more challenging to work with than a gas oven. Of course, I took my Cangiano Sub for the road and it was just as legendary as I remembered it. 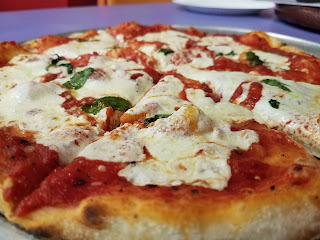 I'm also told by a reliable NEPA Pizza source that the Grandma Pizza is pretty good here as well. 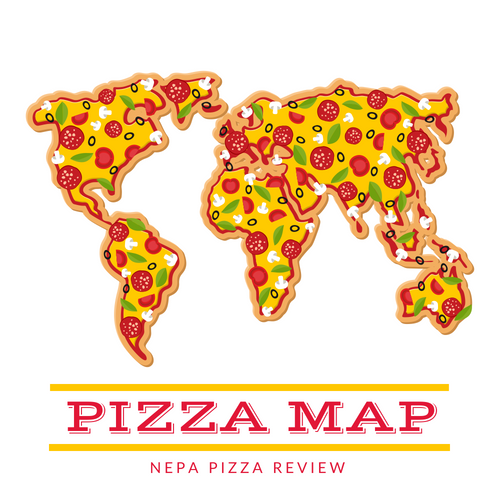 Overall, I had a wonderful experience and the pizza was excellent. 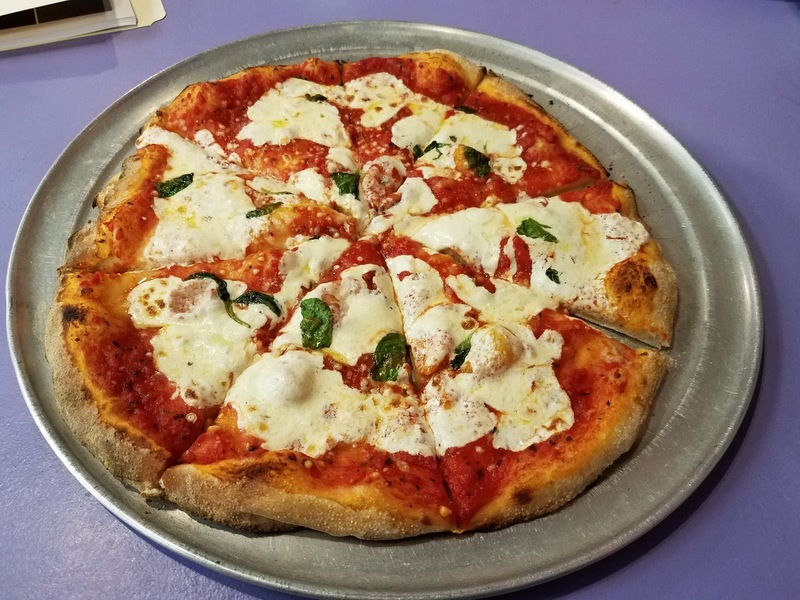 I would put this pizzeria high on your list of "must tries" so give it a try and let me know your thoughts in the comments below!